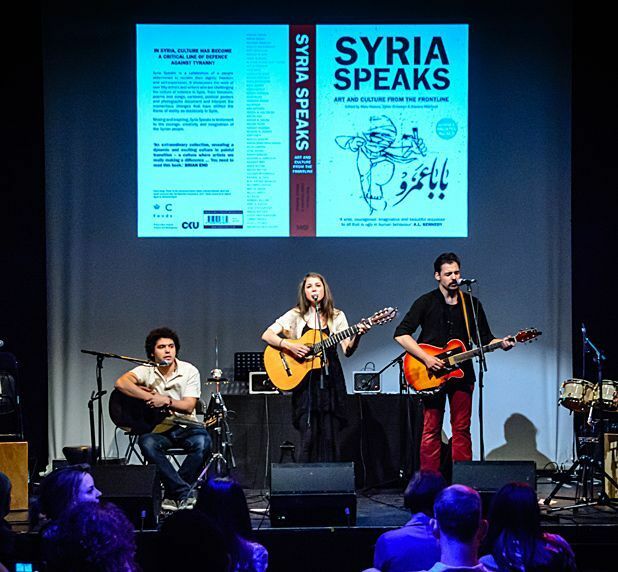 ‘Uprising literature’ is the term being used to encompass works which have followed on from the revolt and subsequent civil war in Syria, and this special late-night event will showcase many of its exponents, all of whom are featured in Saqi Books’ anthology Syria Speaks: Art and Culture from the Frontline. Charlotte Square Gardens, 0845 373 5888, 12 Aug, 9pm, free. A playful, powerful literary experience to launch our special Spoken Word programme, Babble On. This year's line-up includes Stanley Odd, Nasty Little Press, the Bookshop Band and more.